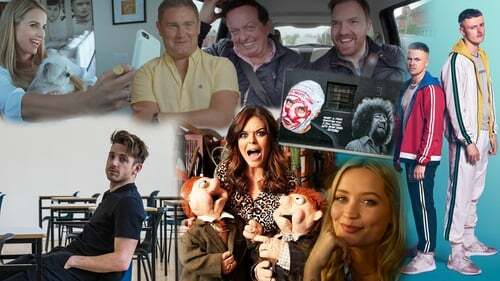 RTÉ has launched its new Autumn TV season which features approximately 60 new series, including first-rate home-produced comedy, drama, documentary and lifestyle programmes. Some of Ireland's best known faces gathered on Thursday (August 16) to celebrate the launch of the new schedule, where RTÉ's Director-General Dee Forbes said the new season "explores all sides of Irish life, past and present. "Today, we have launched a collection of new home-produced drama, comedy, arts, entertainment, documentary and lifestyle programming that showcases an ever-broadening range of perspectives, with new voices, new faces and new themes", Forbes said. "From the violent birth of our nation, captured in both drama and documentary, to the modern day heroes of the Rotunda Hospital - and sprinkled through with high-octane entertainment and sport - this new season explores all sides of Irish life, past and present." This season will welcome the return of viewer favourites like Dancing with the Stars and Ireland's Fittest Families as well as perennial Christmas highlight The Late Late Toy Show. In drama, there's newness with Taken Down from the creative team behind Love/Hate. Writer Stuart Carolan and director David Caffrey are joining forces with best-selling novelist Jo Spain to bring this crime drama to screens. The series around the investigation into the violent death of a young Nigerian migrant found abandoned close to a Direct Provision Centre. The cast includes Aissa Maiga, Lynn Rafferty, Brian Gleeson, Orla Fitzgerald and Barry Ward. Also coming to screens will be Resistance, a drama set during the War of Independence, four years after the events of Rebellion. The show, which stars Brian Gleeson, Simone Kirby and Natasha O'Keefe, will explore how the events of the War of Independence, culminating in Bloody Sunday, change their lives, their sense of themselves, their families and their society. In comedy, Amy Huberman's comedy Finding Joy will centre around a woman who finds herself thrust into the limelight as she tries to get over a break-up. As well as writing the show, Huberman will star alongside Aisling Bea, Laura Whitmore and Jennifer Rainsford. Sharon Horgan and Lorna Martin have penned Women on the Verge, a darkly comic tale about three friends whose lives are going in the wrong direction. Horgan will star with Kerry Condon and Eileen Walsh. In news that's likely to delight fans, Podge and Rodge will be returning along with social media star Doireann Garrihy who will co-host the show. Prepare for celebrity roasting and top notch music acts. Garrihy told RTÉ Entertainment at the launch she is "pinching" herself to be working with the duo. Meanwhile, Jennifer Zamparelli and Bernard O'Shea return for a fourth series of the hit comedy Bridget & Eamon. The Late Late Show will travel to London for a special live programme celebrating the unique relationship between Ireland and our nearest neighbour. Ryan Tubridy, now in his tenth year as host of the show, will be meeting the Irish who have made an impact across the water and talking to people in all walks of life about what it is like for the Irish in Britain today. Vogue Williams is back with three new shows exploring the life of Instagrammers, trial by social media and whether monogamy has a future. Bertie Ahern, Laura Whitmore, Damien Dempsey, Adrian Dunbar, Pat Shortt and Samantha Power explore their roots in a new six-part Who Do You Think You Are? series. Viewers saw their bromance blossom on the recent series of Dancing with the Stars and now Marty Morrissey and Bernard O’Shea are taking to the road in Marty and Bernard’s Road Trip. Brendan O’Connor launches a new interview show – Brendan O’Connor’s Time Out – and Brendan O’Connor’s Cutting Edge returns later this year. Tommy Tiernan is back with another series of the hit chatshow, The Tommy Tiernan Show, where he hasn’t a clue who he is going to be talking to. RTÉ will have European "see it firsts" including the second series of Mr Mercedes starring Brendan Gleeson and the new hit series Killing Eve starring Sandra Oh and written by Fleabag creator Phoebe Waller-Bridge.